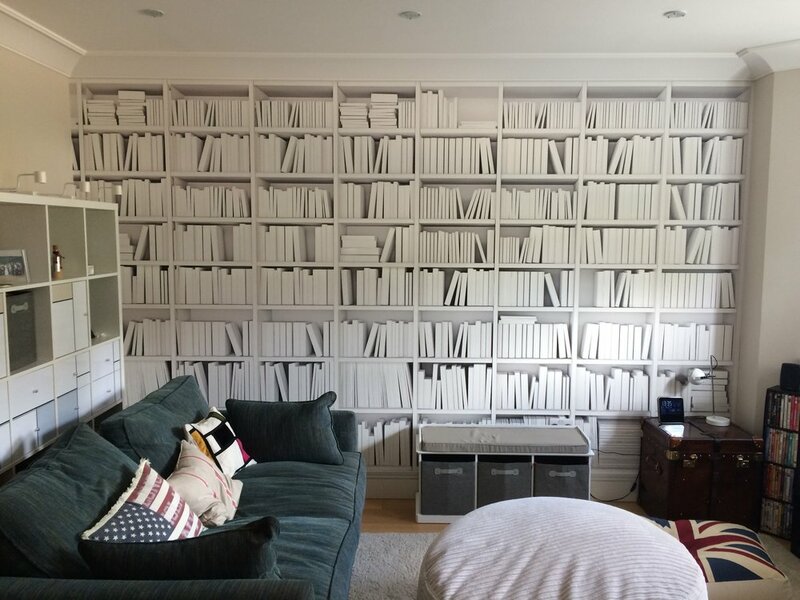 There are statement walls, and then there are Ohpopsi statement walls...we loved hanging this White Outlined Library Bookshelf Mural feature wallpaper for a recent job in Brockley, South East London. The design added real interest and depth to the room and was a perfect match to our paintwork (we used Dulux Chalky Downs 4 matt emulsion). The homeowner was very happy with the result and so were we. Want to re-create this look in your home or office? Check out Ohpopsi's massive range of murals and if your decorating skills aren't quite up to scratch, call us and we'll fit it for you.